So far more than donated 300,000 pieces make up the current build, but more bricks and people are needed to complete the full scale model. It’s educating people about the challenges faced with maintaining this historical landmark, and all the money raised will help with the up keep of the cathedral. They predict the final model to be 3.6m long, 2m wide and over 1m high. Can you help with this ambitious task? If so then click here to find out more. 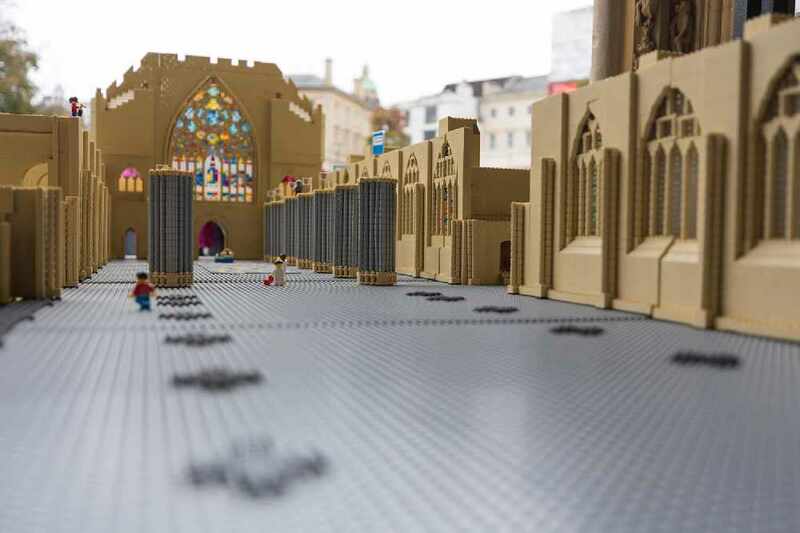 If you’ve got some unused Lego lying around then put it to good use, visitors can add bricks to the model themselves however they cathedral ask you to donate £1 for every brick you they place. Exeter might be a bit of a stretch to get to, but don’t worry you can donate online and volunteers can add bricks on your behalf. You can also use your phone by texting LEGO17 to 70070 to donate £5.